The GOG.com fall sale starts today and will run for ten days. You can get a game for free if you sign up soon, there are several major discounts planned, and there’s a badge-trading meta-game through which you can earn further games completely free. Which games are on your sale shopping list? Peruse some of the best games on PC if you’re stuck for ideas. To kick things off, GOG.com are offering Little Big Adventure 2 entirely for free during the first 48 hours of the sale – just sign up to the platform and claim your reward. “Check in daily, collect badges, and keep shopping to earn XP”, say GOG. As you earn XP, you can unlock further free games, such as including Expeditions: Conquistador, Dex, and Victor Vran. And then there are combos, where buying a particular game will also unlock free ones. For example, buying Divinity: Original Sin 2 or Tyranny will unlock all three of the above giveaways right away. Further combos, deals and other announcements will continue throughout the sale, so again, check in often. 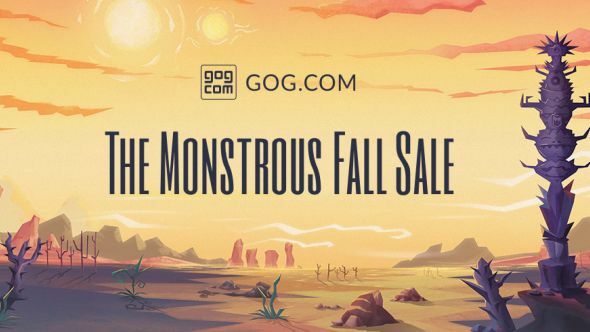 The “Monstrous” Fall Sale has just now gone live, so head over toGOG.comand take a look. The sale will end on November 13 at 11am UK time (that’s 4am Pacific).